Back in 2012 JJ Abrams revealed he was working on a movie called God Particle, with Julius Onah set to direct. After that, new about the film went pretty quiet, but things are picking up again, as Variety reports that John Krasinski is circling the movie. He would join the recently cast David Oyelowo and Gugu Mbatha-Raw in the movie, which ‘centers on a team of astronauts who make a terrifying discovery that challenges everything they know about the fabric of reality, as they desperately fight for survival.’ Oren Uziel (The Kitchen Sink) wrote the script. Onah is still set to direct the movie, which will start shooting in the next few months. It’s currently set for release February 2017. Many people still aren’t sure that action-kingpin Michael Bay is the best man to take on the real-life events that took place in Benghazi and resulted in the death of the US ambassador. However, he’ll be hoping to prove naysayers wrong with 13 Hours: The Secret Soldiers Of Benghazi. The film, which stars John Krasinski, Dominic Fumusa, James Badge Dale, Max Martini and Pablo Schreiber, now has a new trailer and poster , which you can watch below. The movie is based on Mitchell Zuckoff’s book, which centres on six members of a security team. After the facility came under attack from militants angered about the recently release of a trailer for an Islam-bashing film called ‘Innocence Of Muslims’ and the anniversary of 9/11. The team fought to defend the lives of the Americans in the compound, although the attack claimed the life of US Ambassador Christopher J. Stevens and a foreign service worker, while two contract workers died in a second attack at a nearby CIA facility. It’ll be in UK cinemas on January 29th. Michael Bay may be known for throwaway popcorn action on a massive scale, but he’s getting a little more serious for 13 Hours: The Secret Soldiers of Benghazi. The film, which stars John Krasinski, Dominic Fumusa, James Badge Dale, Max Martini and Pablo Schreiber, now has a trailer, which you can watch below. Cameron Crowe sure does like to take his time. There was a six year gap between Elizabethtown and We Bought A Zoo, and while it seemed he was going to quickly follow it with a Hawaii set movie, it’s taken a bit longer than originally planned. The movie shot back in 2013, but it’s only now it’s finally preparing for release. Aloha is about a defence contractor (Bradley Cooper) who is overseeing the launch of a weapons satellite in Hawaii. He ends up falling for an Air Force pilot (Emma Stone), and together they secretly plan to sabotage the launch. Giving things a slightly sci-fi flavour, the movie also features mysterious island forces and a talking computer. Rachel McAdams, John Krasinski, Danny McBride, Jay Baruchel and Alec Baldwin also star. 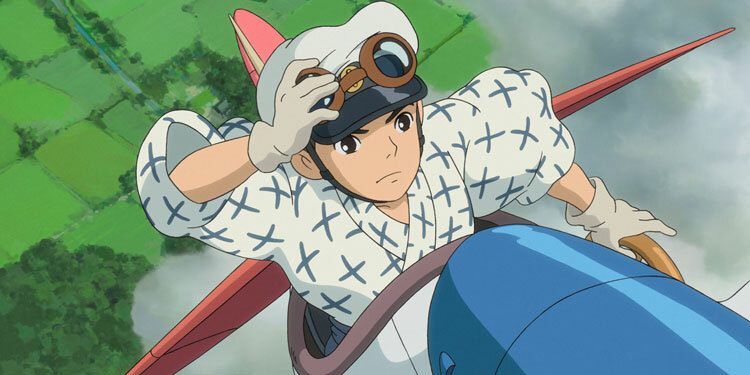 While Japanese anime that covers weirdly sexual sci-fi, giant robots and horror has found its place in the West, what still seems like an anomaly to us are animated movies for grown-ups that don’t go that far into the fantastical. 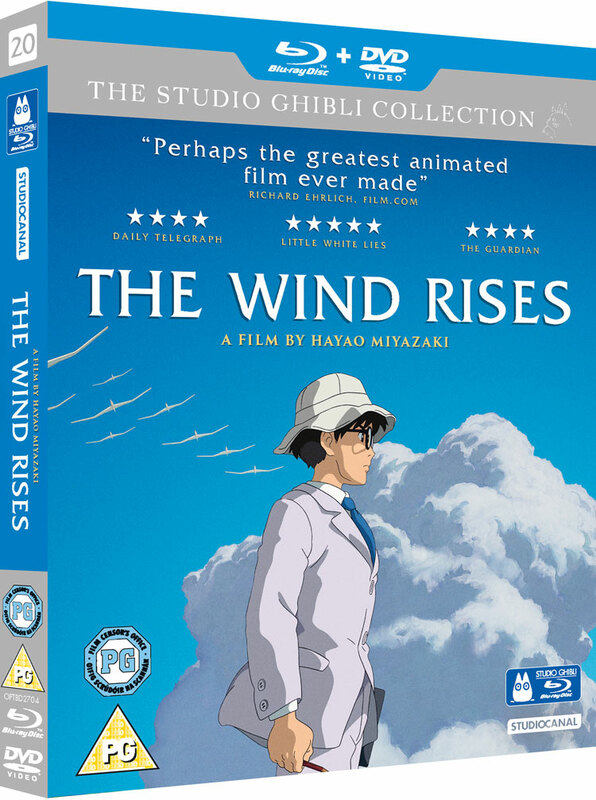 In fact for several reasons, and despite how good it is, it’s difficult to imagine The Wind Rises ever getting a release over here if it weren’t directed by the legendary Hayao Miyazaki (and it’s probably his last film). Cameron Crowe is busy lining up a great cast for his next movie. He’s already got Bradley Cooper, Emma Stone, Rachel McAdams, Danny McBride, Jay Baruchel and Alec Baldwin, and now THR says that he’s also in the process of adding John Krasinski. The new movie is about a defence contractor (Bradley Cooper) who is overseeing the launch of a weapons satellite in Hawaii. He ends up falling for an Air Force pilot (Emma Stone), and together they secretly plan to sabotage the launch. Giving things a slightly sci-fi flavour, the movie also features mysterious island forces and a talking computer. Krasinski will apparently play “a military man married to McAdams, who is playing Cooper’s ex-wife.” Cameron Crowe is directing from his own original screenplay. Disney/Pixar has revealed more of the voice cast for the upcoming Monsters University, letting us know that the likes of Nathan Fillion, John Krasinski, Bonnie Hunt, Sean P. Hayes, Charlie Day, Aubrey Plaza and Alfred Molina will be joining Monsters Inc. voice actors Billy Crystal, John Goodman, Steve Buscemi and Dave Foley. (And yes, we know Bonnie Hunt was in the Monster’s Inc, but she’ll be voicing a different character this time). We’ve previously been told that Helen Mirren, Julia Sweeney, Joel Murray and Peter Sohn also have parts. Nathan Fillion is playing Johnny Worthington, a horned beast who’s the arrogant president of Roar Omega Roar, a fraternity at the campus that enlists notable scarer students. Krasinski will be ‘Frightening’ Frank McCay, a member of the star scaring team at Monsters, Inc, and an inspiration for both Mike and Sulley. Hunt meanwhile will be voicing Karen Graves, Mike’s grade school teacher. The film hits US cinemas on June 21st and arrives in the UK on July 12th. Click on the pics below for larger versions.